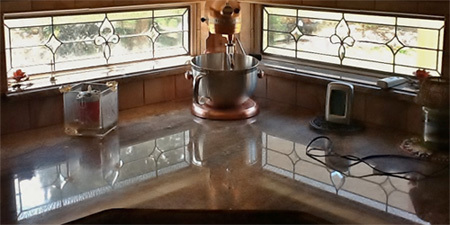 Have you ever noticed that whenever you have guests they tend to gather in the kitchen? 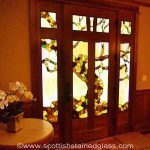 Or that you, yourself, spend a lot of time in there? 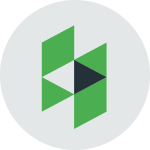 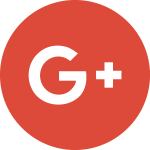 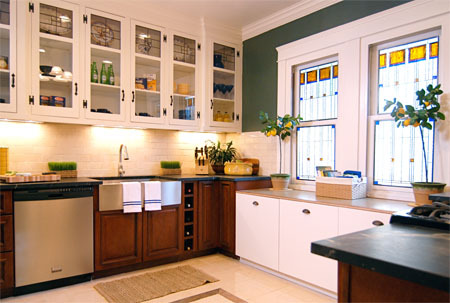 Kitchens are spaces that receive a lot of traffic from you, your family, and your guests. 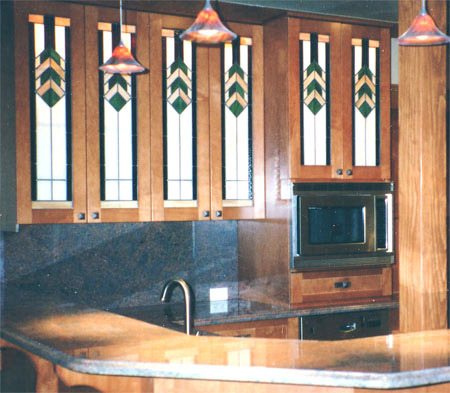 For this reason, among many others, it is important to make your kitchen a space that is comfortable to be in while being simultaneously aesthetically pleasing. 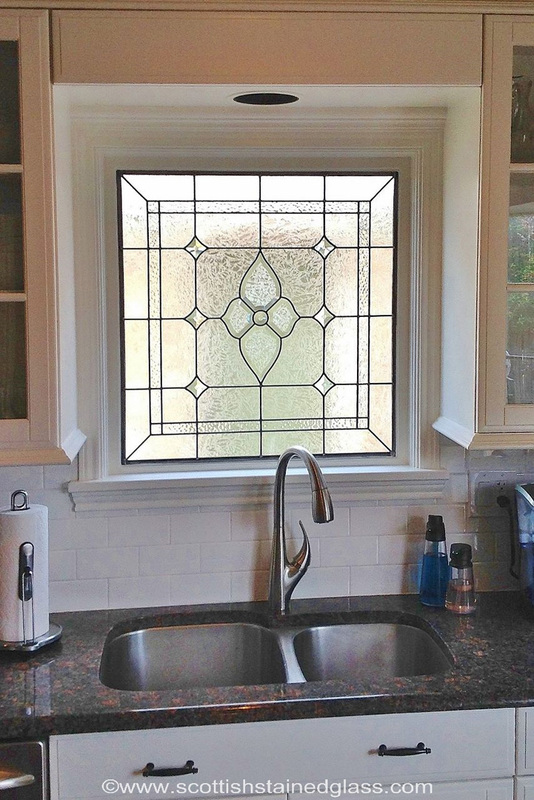 Stained glass windows are the perfect addition to any kitchen. 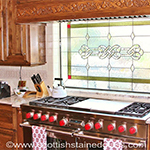 Cabinet doors may be the most obvious place in your kitchen to add stained and leaded glass. 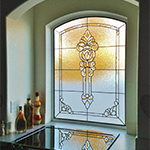 Stained glass inserts for your kitchen cabinets can be created with both clear textured glass, colored glass, or both. 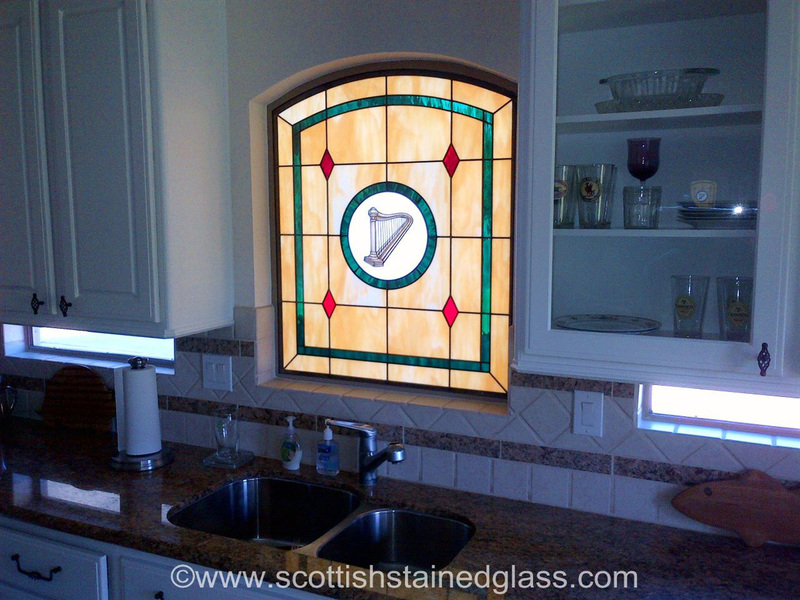 It will add an elegant design feature to your kitchen while still being practical. 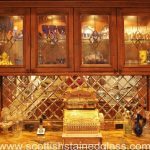 With leaded glass cabinet fronts you are able to showcase your collection of dishes and make it easier for guests and yourself to find whatever you may need in them. 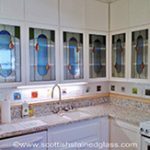 There are plenty of other areas in the kitchen that will benefit from the addition of a beautiful stained glass treatment. 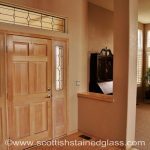 Pantry doors, for example, are often just plain solid doors with no interesting feature. 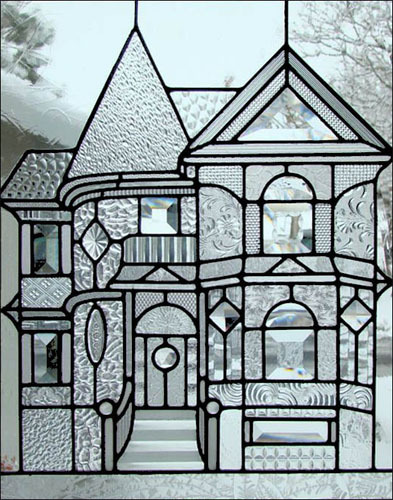 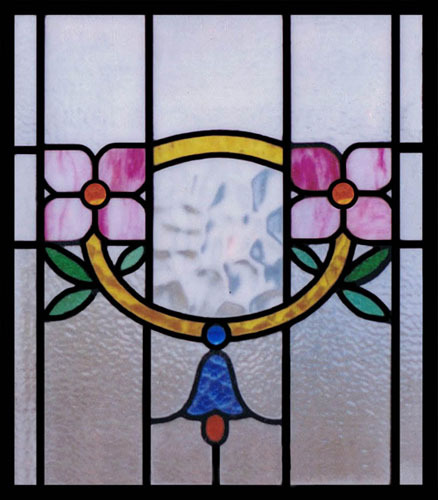 The introduction of leaded glass or stained glass will transform these into a work of art. 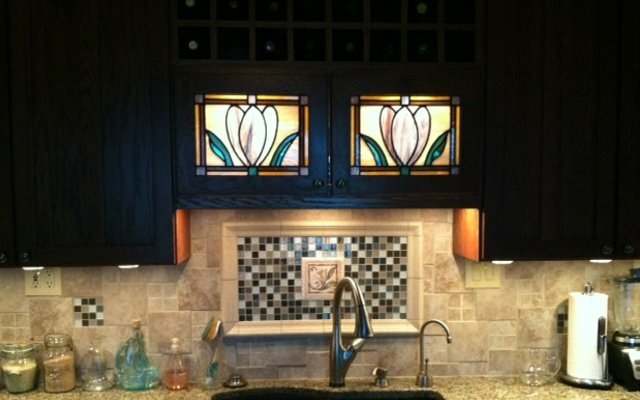 It will also allow some additional light into the pantry and help to show off your extensive, worldly spice collection. 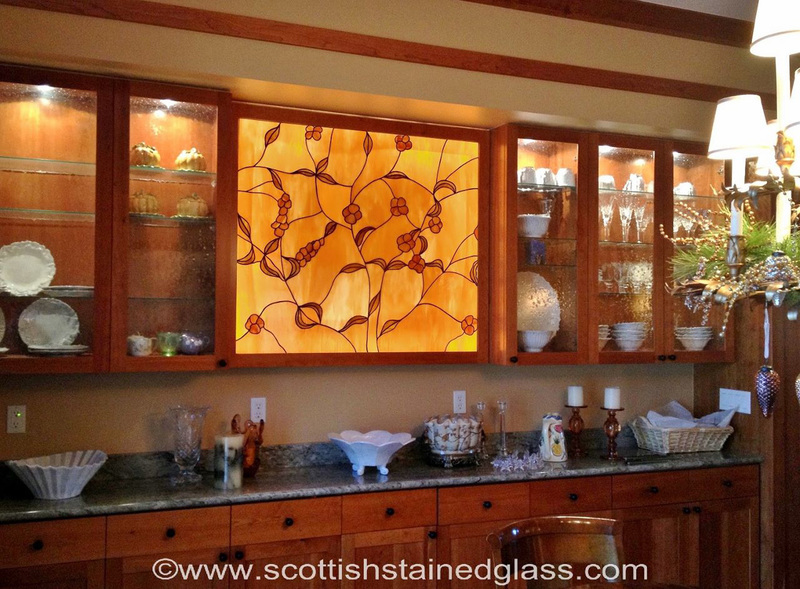 Because all of our pieces are custom designed, when creating stained glass for pantry doors we will often incorporate a casual element to reflect the nature of the rest of the kitchen décor. 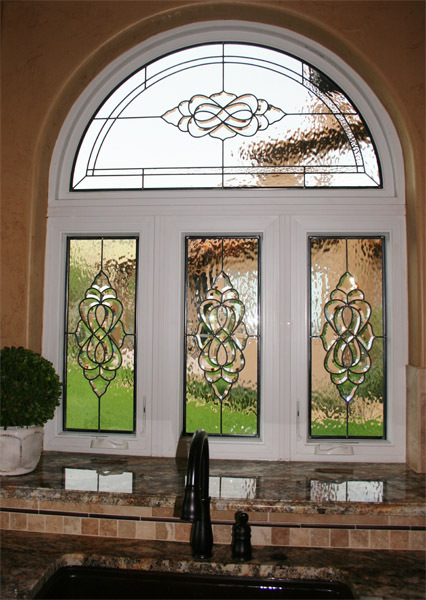 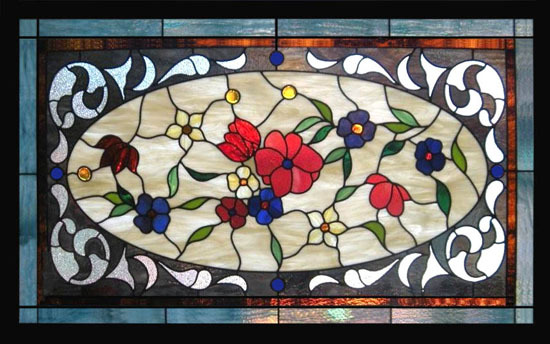 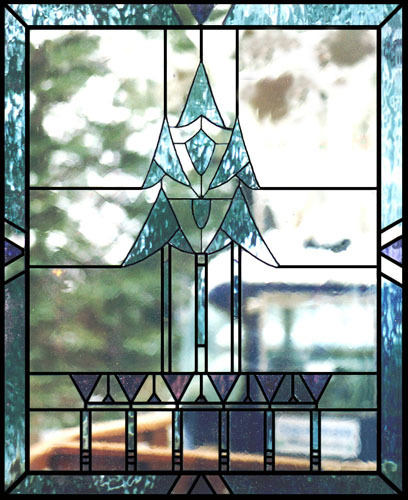 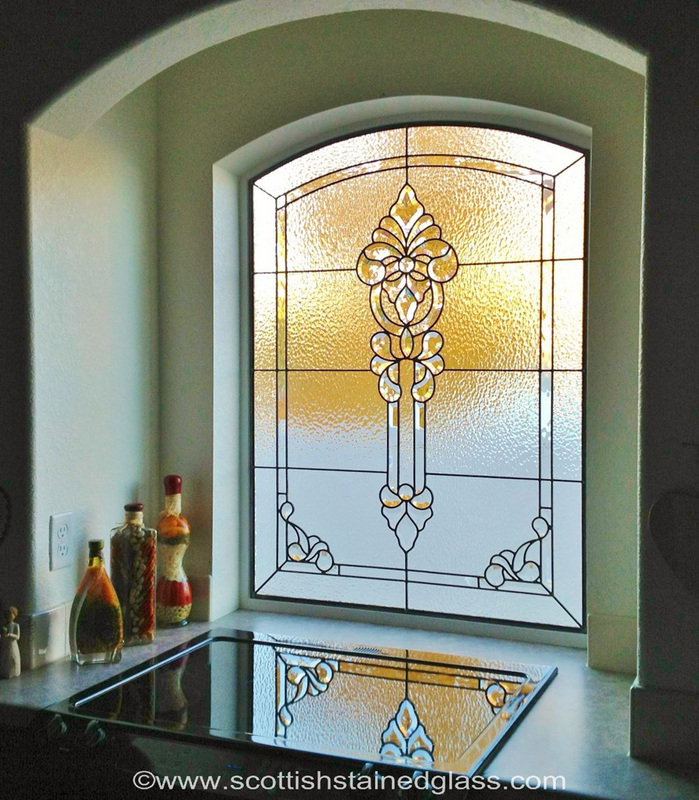 Stained glass window design for pantry doors can be either created using clear beveled glass or colored stained glass. Whether your style is modern and contemporary or classic and traditional, stained glass in your kitchen will add elegance and value. 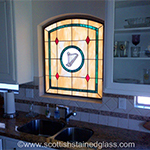 Custom stained glass can also be used in kitchen ceiling fixtures. 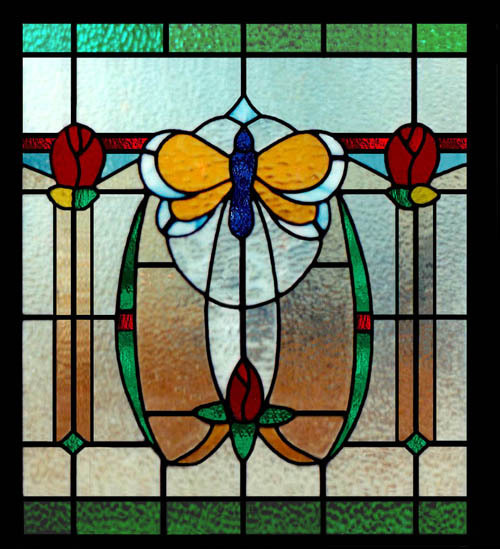 If you have a light that is inset in the ceiling, a stained glass panel can be framed and used to diffuse the direct light. 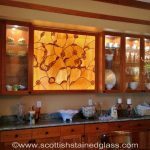 Stained glass ceiling fixtures can be a centerpiece of the kitchen that stands alone, or it can compliment the stained and leaded glass in the kitchen cabinets. 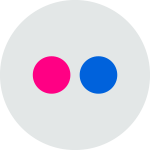 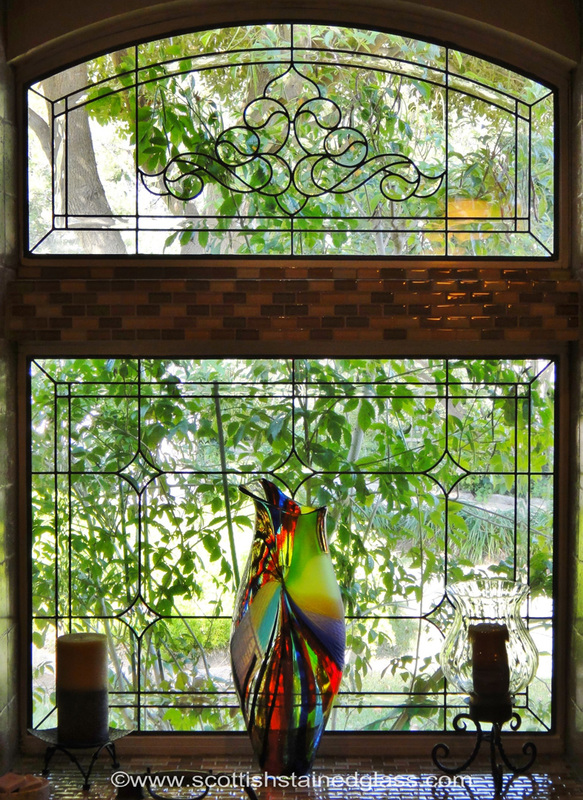 This presents the opportunity to add a stunning mixture of color and beauty into the space. 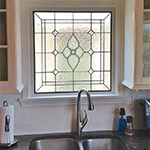 Often a kitchen will have transom windows which are ideal areas for leaded or stained glass. 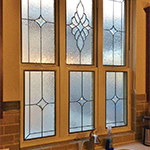 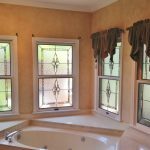 Transom windows offer a great source of natural light but tend to be plain. 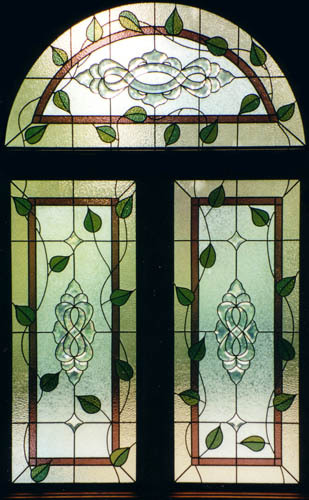 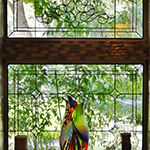 Stained glass is the perfect solution to bring an artistic element to the window while conquering the issue of privacy. 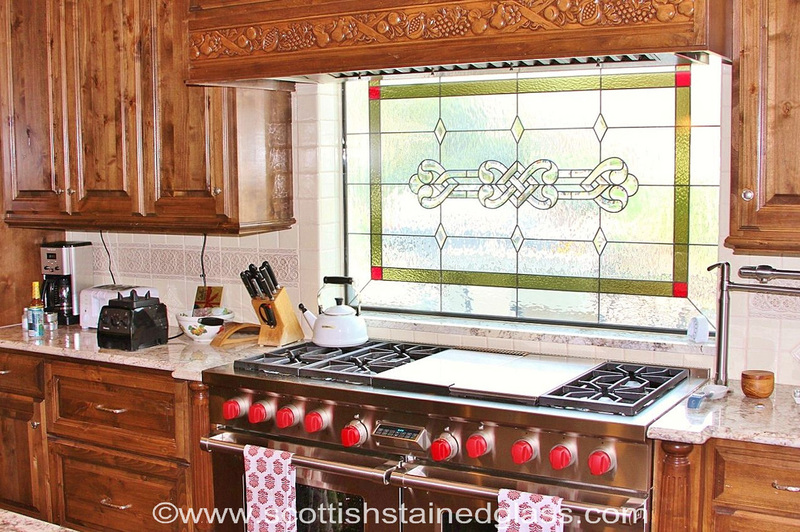 One of the more functional locations for a stained glass kitchen will be the windows located on either side of the home which overlook the house next door. 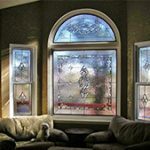 Not only does this tend to be a fairly plain view of the side of the neighbors house but often their windows will look straight into your home creating an issue with privacy. 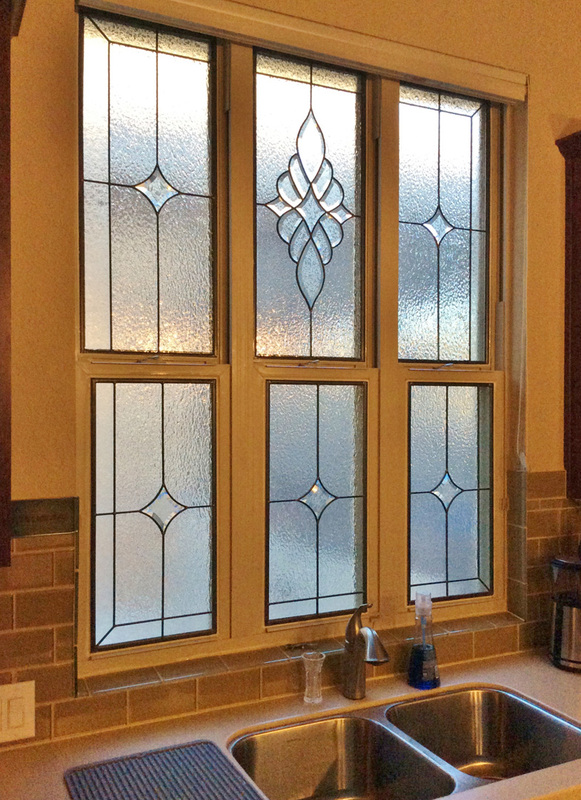 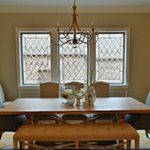 Adding leaded glass will allow natural light to continue to come into your home while blocking the unwanted view of neighbors, permitting you to socialize and cook in peace. 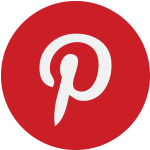 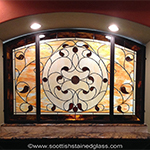 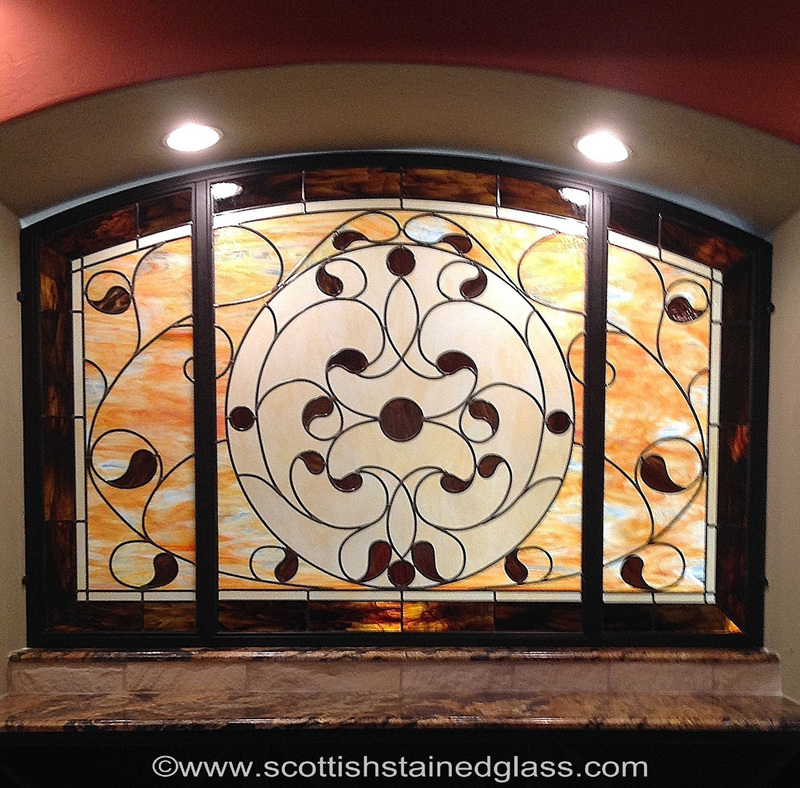 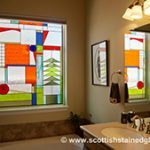 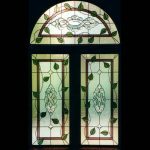 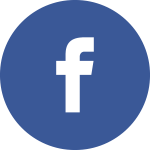 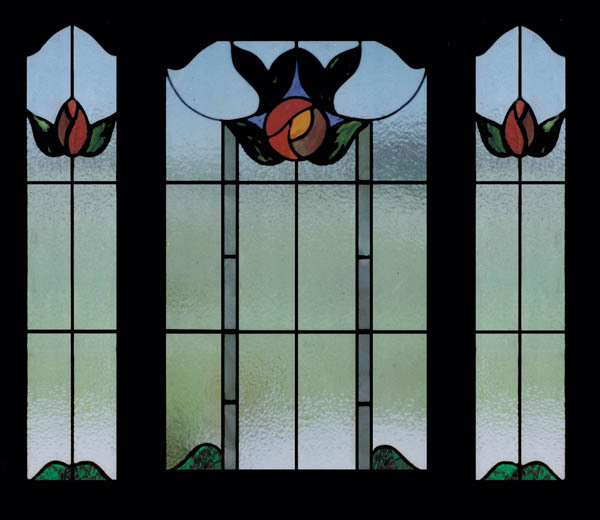 To find out more about how stained and leaded glass can enhance the beauty and value of your home contact Scottish Stained Glass today.